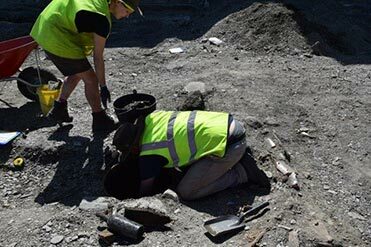 The New Zealand Archaeological Association is a registered charity run by volunteers through an annually elected Council and appointed Officers. (a) To initiate and to organize research into the [archaeology] of New Zealand and related areas in the Pacific. (b) To unite all persons engaged in or interested in archaeology, by holding conferences and meetings for the discussion of archaeological questions. (c) To increase and to disseminate information on all matters relating to, or of interest to archaeologists, and to assist in the spread of this information among the public generally. (d) To strengthen the links between the professional and amateur archaeologist. (e) To encourage and foster teaching and research in archaeology. (f) To encourage the use of public museums as the repositories for artefacts and associated material. (g) To encourage the conservation of archaeological sites as part of the New Zealand national heritage. (h) To affiliate with, establish relations with, become a member of, co-operate with any Association, Society, body or combination of Associations, Societies or bodies in New Zealand or elsewhere having objects in any way similar in whole or in part to the objects of this Association. (i) To establish, maintain and encourage adherence to professional standards and ethics, as set out in Schedule 1 attached hereto.